$239. 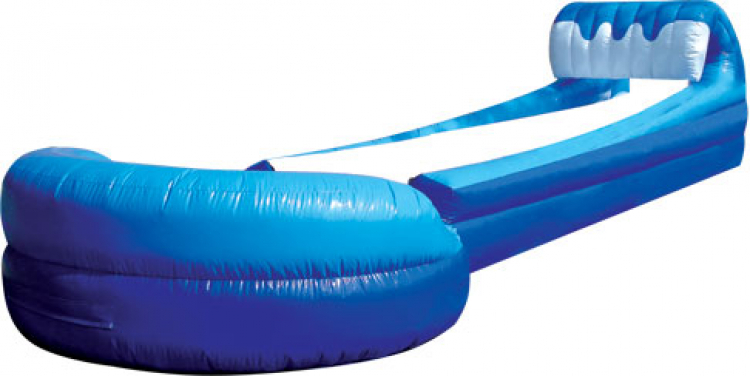 The California Wave wet slide brings a hang ten opportunity to your guests, with fantastic details that make this an inflatable no one will want to miss. Riders will be yelling "Bonzai" as they enter this amazing ocean-inspired horizontal slide, and then cruise from the pool to the curving wave crest on the other side. Players can catch primo surfing action in this clever surf n slide, without having to travel to Cali-forn-i-a! Strictly for wet action, the California Wave slide is sure to add cool and gnarly surfer action to any celebration.